Michael Chabon’s Moonglow is once again testament to the power of storytelling to cast a spell. I haven’t chosen this quote to start my review because of its thematic resonance. While Moonglow does pit the streamlined grace of narrative against the chaos of lived experience, Chabon’s such a wizardly craftsman that any number of his spry sentences might be said to contain the secret to his 429-page book. No. I started here because, quote be damned, a cat makes a heroic assertion of agency in the late pages of Moonglow. This feline stand occasions the purest joy I have felt as a reader since Éowyn tore off her disguise and killed the Witch-King. Mike learns all this from his grandfather while visiting him in Oakland during the last 10 days of his life, when the old man is on painkillers and willing to talk. “I showed up to say goodbye,” Mike says, “just as Dilaudid was bringing its soft hammer to bear on his habit of silence.” The young novelist with Chabon’s name wants his book to break a familial spell of secrecy; he’s working in the Freudian or Oedipal tradition of artists—Art Spiegelman, Mary Karr—who believe that the key to the self lies in revelations about one’s parents. The actual Chabon, however, has concocted more of a Scheherazade situation, in which an old man charms away death with fantastic tales. Writing about Moonglow for the New York Times, A.O. Scott remarked on the author’s “wistful, Jewish magical realism,” which he finds less in evidence here than in previous work. (I disagree and have the nightmares about jack-o-lanterns floating out of television screens to prove it.) But that “wistful” seems right. There’s something tearstained about even the wildest flights of Chabonian fancy, as if each wondrous occurrence stood in for some feeling the writer couldn’t state outright. For his part, Chabon appears aware of this tendency to sublimate pain into fantasy. It is something, he suggests, he may have picked up from his grandfather. Ever the engineer, Grandpa teaches Mike how to build a structurally sound house of cards. “The good way was to stand four cards on their long edges, forming a pinwheel configuration that made a square cell where they came together,” the narrator recalls. “If you laid a card flat across the central square, you got a sturdy box that could support the weight of many stories.” This is an ars poetica, of course, coming from a writer who appreciates the interdependency of fact and fiction. Yet no matter how well-made the structure or well-structured the tale, “it’s going to have to come down sometime,” Grandpa reminds his student. He notices a small silver ball rolling toward his feet. A woman comes running in after him but stops when she sees him. She wears a silver gown and a silver crown. A large pair of silver wings rise up behind her, a moth’s wings, billowing gently in a lunar breeze. He picks up the ball, and for a moment they regard each other. Then he tosses her the ball, and she catches it. A fevered and turbulent passage like this reveals just a fraction of Chabon’s range. He can be sardonic (“Across the feral golf course on the other side of the fence, a million insects played a one-note tone poem entitled ‘Heat’ ”) or sincere (a bunch of bananas are “the hand of a golden Buddha ablaze against the gray morning”). The grandfather ponders “an approach to inertial navigation systems that would involve the heuristics of topological algorithms.” Retching, a character called Aughenbaugh produces “variations on the theme of his name.” You will not find better, funnier, more varied writing in a novel this year. 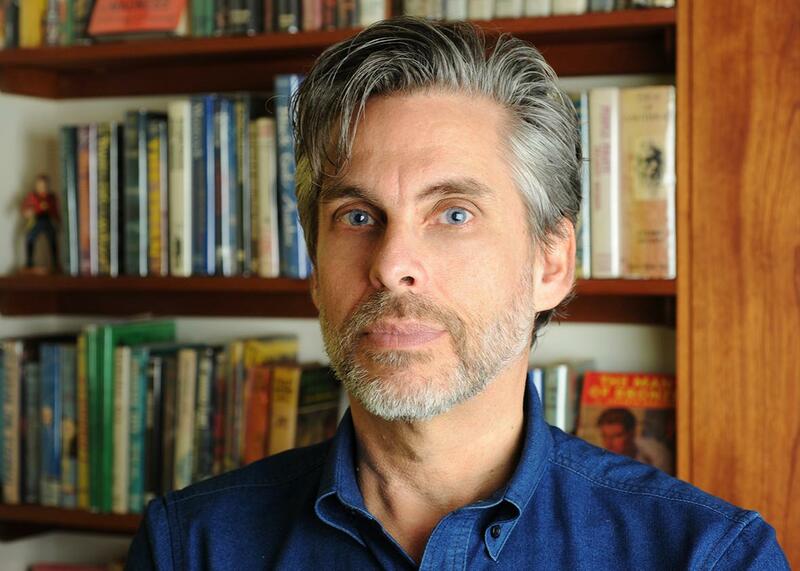 In writing his memoir, Chabon does not divulge whether he was influenced by Ariosto’s 16th-century romance Orlando Furioso. But that poem, about a knight who goes mad for love, and another knight who flies to the moon in search of his friend’s lost sanity, serves as a kind of ur-text for Moonglow. It is in Ariosto’s hypnotic cantos that the association between the moon and lunacy was solidified; it is also in Orlando Furioso that the grandfather’s vision of the moon—as a place where lost things could be restored and the sick could be made well—received its first, indelible expression. The moon of hope and the moon of madness come together in Ariosto’s centuries-old love song; as in Mike’s family and the document describing it, two opposites are beautifully married. By the end of the novel, even Ramon the cat has disclosed his double nature. He is a spokesanimal for “probabilities and contingencies.” Yet his real message is that what’s lost need not be irretrievable. Any wind can send the house of cards fluttering down, but memory and family can build it back up again. Moonglow by Michael Chabon. Harper.